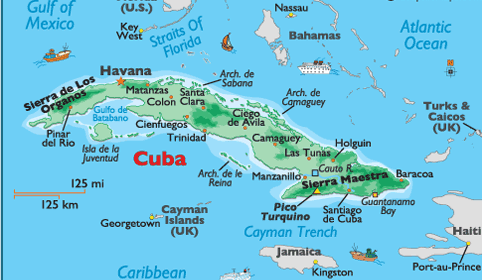 Cuba is one of the best keep secret for yacht cruising. There is always something for everyone. The Scenery, crystal clear beaches, great restaurants and diverse culture make it the ideal destination for yacht charter vacation. Do to the lack of yachts in the area. We have to deliver from Florida or the Bahamas. You can embark in any of those port and do the cruising. Or just deliver the yacht to La Habana. When embarking on a luxury charter vacation in Havana. Home to the island nation’s most notorious bars and restaurants, the city is alive with the sound of music and the sight of countless classic cars. An ongoing festival of sorts, the vibrant nightlife in the city presents the perfect opportunity to sample some of the signature cocktails and rums on offer. After couple of days of exiting city life. 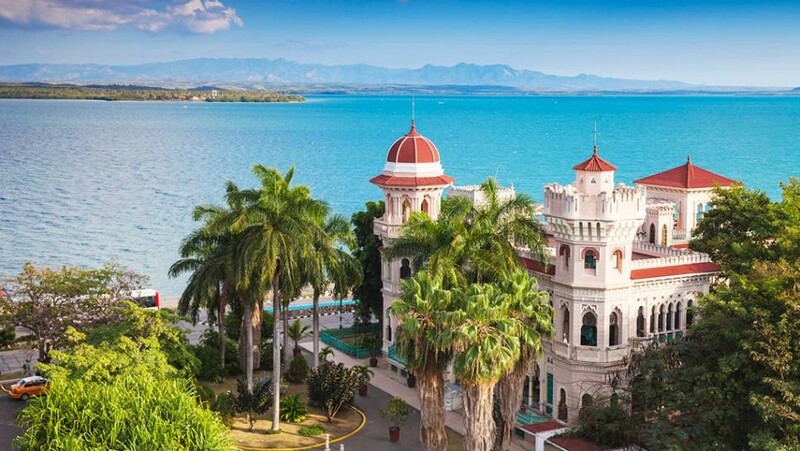 It is time to depart for the south west part of the island to Cienfuegos where you will find some unforgettable attractions. 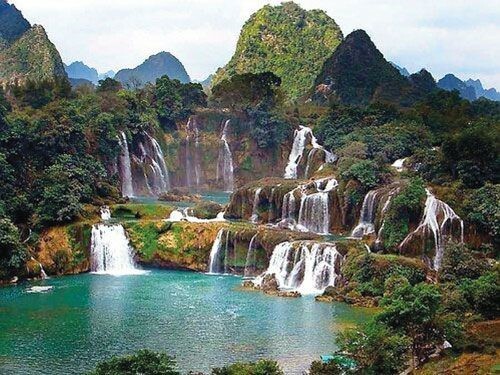 El Nicho waterfalls are a wonderful place to swim in a natural rock pool under leafy trees and a sapphire blue sky. Visit Zapata Peninsula to experience a unique inland area covered in swampland and wooded areas full of wildlife and making up the largest ecosystem on the island. After your fun on land, head back to the water before you board your boat again for some of the best scuba diving in the country. However, since the country is an island, there will be amazing scuba diving wherever you choose to do it. And with the stunning blue waters and brightly colored sea life of the Caribbean, diving will likely be a highlight of your vacation in Cuba. 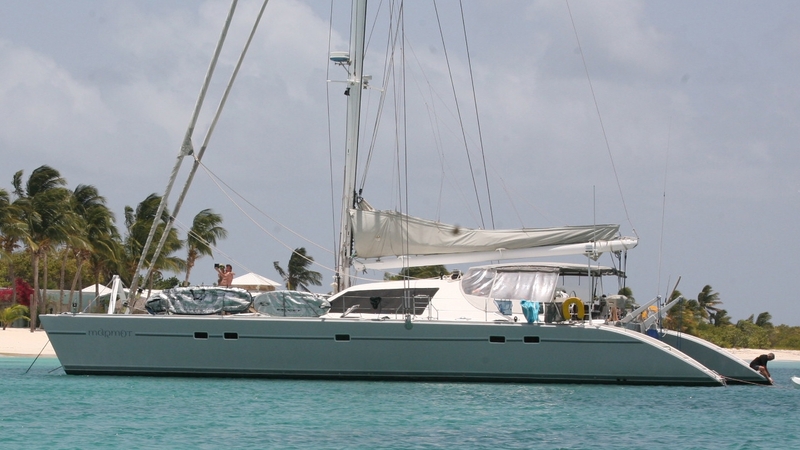 We can offer motor yacht charter, Catamaran charters and sailing charters in Cuba. It is up to you to decide. Having arrived in the balmy Cuba, take the morning to get to grips with your fascinating surroundings. Spend a few hours wandering the beautiful colonial streets of La Perla del Sur, the Pearl of the South, where there is any number of historical and cultural hotspots to discover before boarding your luxurious yacht. Once on the water you can view the monuments and unique features of Cienfuegos from the aft deck of your new home with some freshly prepared lunch. For the rest of the day admire the Rancho Luna Beach, or begin to get to grips with your yacht’s water toys! On your second day in Cuba, take a trip to Cayo Guano – a beautifully pristine and peaceful mooring on the way to Cayo Largo. Kick back and relax, soaking up the sun as Los Canarréos, a tranquil archipelago of soft sand and clear waters, pass you by. When you’ve arrived at Cayo Largo, the only inhabited member of this group of islands, pull on your snorkeling gear and explore the outstanding colours and marine life of the coral reef below your yacht. For your third day in Cuba cruise to Cayo Rico. Rich by name, rich by nature, this bay has a plentiful population of local iguanas for guests of all ages to have fun spotting ashore. These amazing creatures only add to the exotic nature of Cuba which is packed with flora and fauna unlikely to be found outside of the Caribbean. To end your day, the powdered beach of Playa Sirena is a fantastic location to indulge in some delicious al fresco dining after an afternoon of swimming, water skiing and nature spotting. Playa Cayo Rosario is your second perfect diving location of your trip, and doesn’t disappoint. There are beaches for sunbathing, having a drink and meeting others here for the fantastic fishing opportunities. After a morning fishing, allow your chef to cook up your spoils for a delicious lunch enjoyed onboard! After you’ve filled up on freshly caught fish, head to the diving and snorkeling spots to see more submarine wonders throughout the afternoon. Tracking your way back towards Cayo Largo, your fifth day on your yacht is a chance to do anything you may have missed out on the way here! You could spend the day relaxing through the heat of the day before heading out for a meal in the evening, or you could branch out and visit the local turtle farm, which is brilliant for children. The Quinto Canal is a fantastic stop off for a day of getting closer to the extraordinary nature that inhabits the island of Cuba. Take your yachts kayak up the network of canals to get an unrivalled view of the famous mangrove trees, or even pay a visit to the ‘dolphinarium’ to put a tick on your bucket list and swim with dolphins. 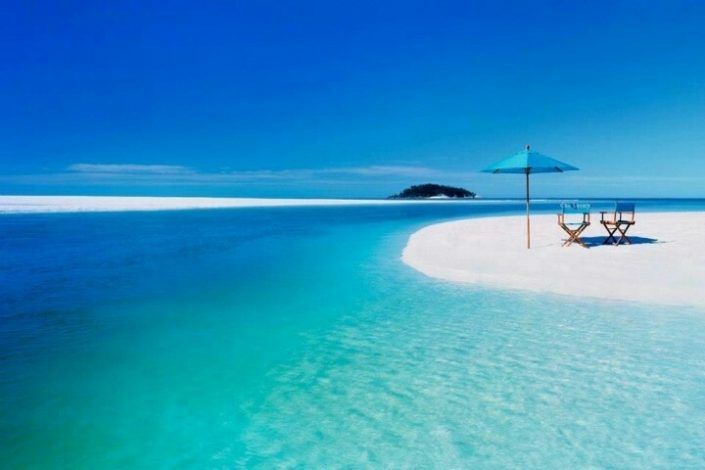 For your penultimate day in Cuba, hit the ultimate relaxation spot of Cayo Sal, possibly the most isolated and peaceful location on your charter. For a full mind and body relaxation workout, Cayo Sal is the perfect place to try some paddleboard yoga. Perhaps all you’ll manage is to stay on your feet, but it’s sure to provide your friends and family with a lot of entertainment! After a week of relaxing, water sports and amazing islands, it’s time to disembark back in the city of Cienfuegos. If you didn’t pick any up on your arrival, now’s your last chance to find some of the country’s famous coffee and cigars – you won’t have to look far! A bottle of Cuban rum will also make an excellent present to take home for someone who wasn’t unlucky enough to share this incredible trip with you.